Hi! 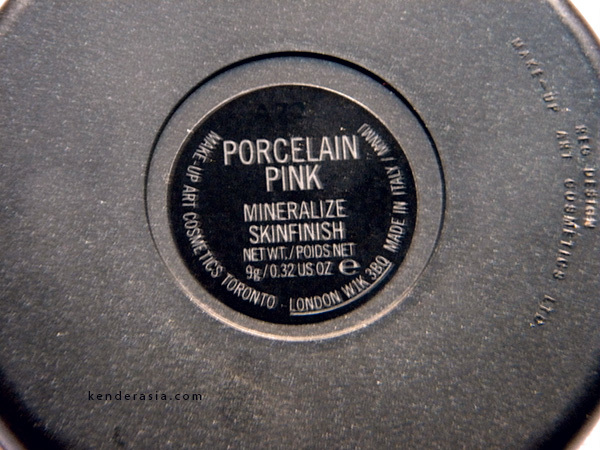 Today I want to review Mac Porcelain Pink msf. 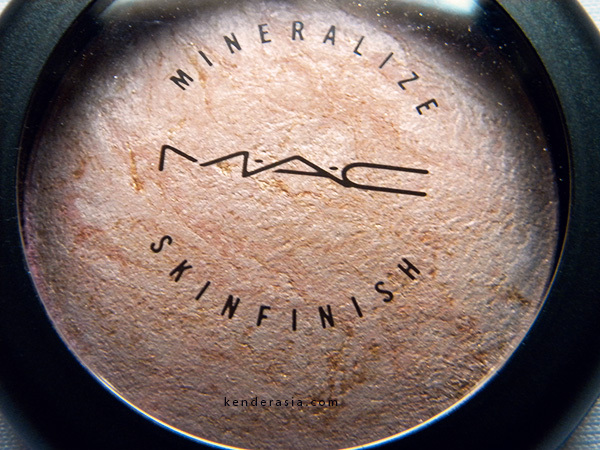 show you my last treasure, my third Mac mineralize skinfinish (msf): Porcelain Pink, that one which came out with Après Chic collection. I was lemming this little precious for *ages*. I don’t know why I didn’t buy it before. I’m a fool, indeed. Mac Porcelain Pink has a long story in Mac collection and it is one f the most beloved limited edition product, so every repromote is a nice surprise. Porcelain Pink first came out in 2005 as I can remember, then with Colour Craft in 2009, Fall colour in 2011 and now at the end of 2012 with Après Chic. I was also tempted to pick up Stereo Rose but it was a bit too strong on my skintone (still gorgeous though!). It is a very, very pale pink infused with gold veins. 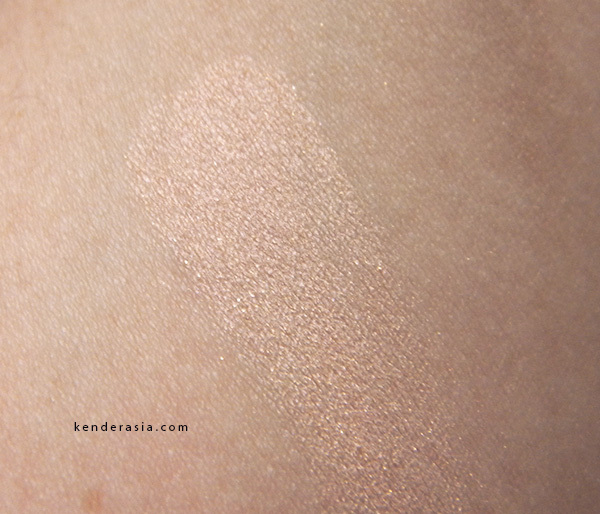 On my NC15 it is a slightly pinkish highlighter with a gold sheen, without gross glitters nor too obvious shimmers. Texture is smooth and I don’t find it emphasize large pores. On my it lasts well for about 5 hours, then it starts fading a bit and needs a retouch. It gives my skin a beautiful glow, a warm pink with a golden reflection which highlight my cheekbones in an ethereal way without looking too cold and unnatural. 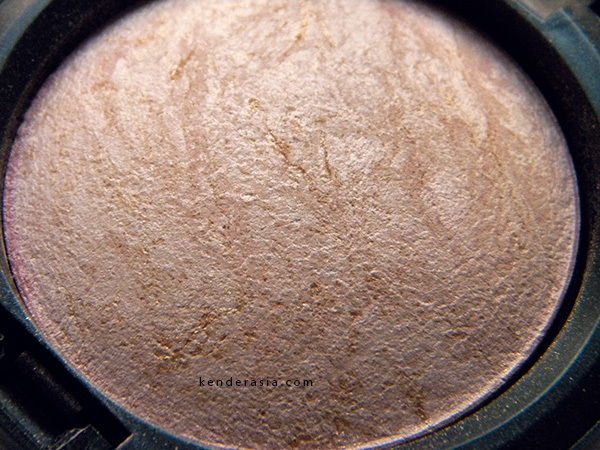 It’s not too metallic or frosty, but I’d say it is a more satin-like highlighter with very fine shimmers. I’m so glad I could get this one! I prefer using it during winter since in summer I usually prefer a more evident highlightning but don’t misunderstand me: this one has a great colour payoff and I have to be careful in not over-do, but it’s also delicate and subtle at the same time. It’s perfect for you if you’re fair and you like pink, delicate, doll and princess-like look more than a bronzey goddess one.